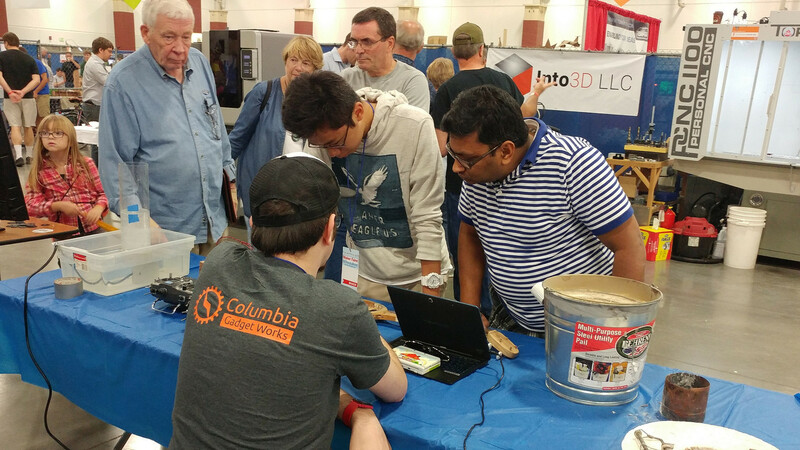 This past weekend, two of our members made the trip all the way to Wisconsin to represent Columbia Gadget Works at Makerfaire Milwaukee. The projects they brought captured the interest of many faire-goers, and our members learned a great deal meeting with several makerspaces in the area. Special thanks to David, Ahndhi, and Dan for sending along their projects for showcase. You can see our video about David’s foundry below, and look forward Ahndhi’s musical instruments in the next Project Spotlight.